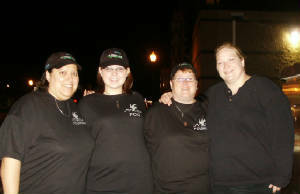 STORM is “Spirit Trackers of Rural Michigan” a group of paranormal investigators founded by four women in SE Michigan. The members of this group originally came together around issues of historic research and preservation, and because we were genealogy buffs. 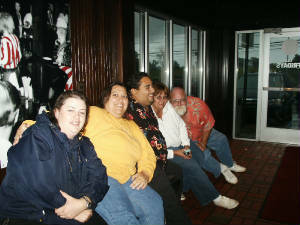 We have expanded and become an experienced group of paranormal researchers. We still believe that education and sharing knowledge is the most important reason to do this work. We feel it is imperative that people place their trust in ethical research groups, and groups that do not claim to know any absolute truths about this field of study. We never charge for our services, and we do not condone charging fees for work in an area that has no scientifically definable boundaries. FOUNDERS: These four women are known as “Founding Members” and three of the founders are still active lead investigators and the leaders of STORM. 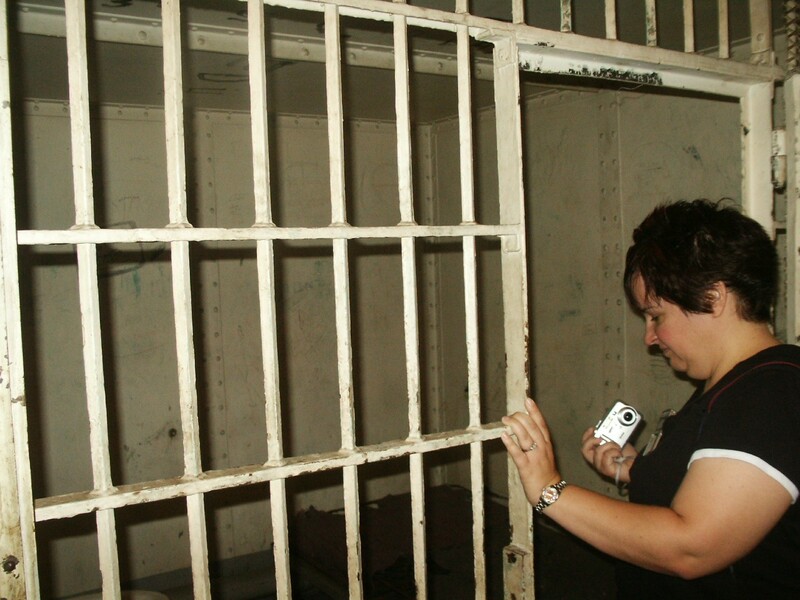 STORM INVESTIGATORS: All investigators have had 3 or more trainings and have been on 3 or more paranormal investigations with STORM. 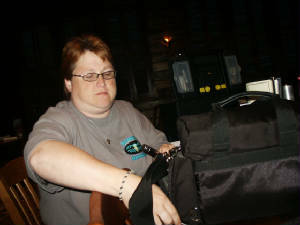 Our training seminars are most often: Paranormal 101, Investigation Procedures, and Evidence Review. STORM*Currently we have 12 active STORM investigators, each and every investigator with more than one years experience with STORM, and a with a combined experience of over 30 years studying the paranormal. STORM MEMBERS (CADETS or ROOKIES): We have “Friends of the Group” who have had at least one training session and assist STORM with the administration of the group. These assistants, known as “Cadets,” help out with investigations and reviews, research, marketing, case management, as well as production, technology & website assistance. STORM “ROOKIES” are FOG members who are in the process of training or who otherwise assist the group on specific cases or temporarily. STORM VIDEO PRODUCTION TEAM MEMBERS: STORM has a video production crew to assist us with documenting our investigations, with the idea of using some of our footage for a local cable access or university based television show or short films. STORM FOG: “Friends of the Group” are the people and businesses, organizations, and conservation societies, who network with us, support or assist us in doing what we do. We couldn't keep on going without your support and encouragement, thank you! We salute our fellow paranormal researchers in Michigan and across the US and abroad who are ethical, logical, open minded and inquisitive- keep up the good work! 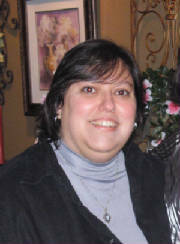 I am Diane, and I am passionate about history and am addicted to genealogical research. I have an interested in all things paranormal, and wanted to form a research and investigation group out of the experiences my friends and I were having, in order to help myself and others better understand the unknown. I have had some seriously freaky-deaky things happen to me, and whenever I have gotten up enough courage to talk about it with friends, realized that many of them also had some weird experiences that were unexplainable. I am thoughtful and logical, believe in God, and believe in good. I also believe we have the ability to think and reason and conceive of ideas and possibilities beyond what most people may assume. I am naturally curious, and have a desire to learn about, well, almost everything. I think many experiences people may tend to call "paranormal" are natural and explainable, but there are some that seem unexplainable and may be frightening. I hope STORM can share knowledge, network with other investgators and people who have had paranormal experiences, and discuss and report theories and possibilities about the seemingly unexplainable. I want to help dispel some myths about the paranormal, help others to be less frightened of the unknown, and give respect to God, human life and death, and whatever may be "beyond the veil." some support to my belief in the spirit world. My name is Glenn and I have been interested in the: UNKNOWN, UNEXPLAINED, PARANORMAL, UFO’S, ETC. ETC., since my teen years. I have read many books on the subject, from an academic stand point I’m fairly knowledgeable. During my younger years I have had many good experiences although startling, only one experience frightened me- that experience was one in which I had a premonition of a plane crash and both the pilot and the passenger died. Since that premonition I have done everything to shut my senses down, until now. By nature I am spiritual and have a strong belief that there is LIFE after DEATH. Not all things in this world can be explained or are tangible. Since science is based on tangibility’s it’s that small bit of no tangibility that has recaptured my curiosity. Whether you are spiritual or just curious I think we are all trying to find meaning or that something that helps us cope and whatever it is I hope you find it. STORM is a group of like minded people and I am happy to part of it and I want to thank the group for acceptance and sharing of knowledge. I think, like most of you, I've had a lifetime interest in things paranormal. I just never did anything about it until recently. I've been involved with cryptozoology for quite a few years, being an active participant and moderator at cryptozoology.com. While cryptozoology and the paranormal are two different things, many people lump them together and many who are interested in one are also interested in the other. I've chapter published in Jerry Coleman's second book, 'More Strange Highways'. Jerry is the younger brother of Loren Coleman whose name will be well known by anyone who has dabbled in things crypto related. The paranormal link here is that Troy Taylor is the publisher of Jerry's book through White Chapel Press. I also have a short fiction piece in an anthology that will be published later this spring by Craig Heinselman. I'm not sure what 'paranormal' is, though I tend to think that what we consider paranormal today may eventually be recognized and understood by science in the future. I bring a highly skeptical nature to the group, a leveling of beliefs, if you will. I'm not a disbeliever but my experiences are few and far between and I can not to this day be sure that the little things I've experienced were paranormal or simply my mind playing games with me. So I seek answers in a scientific, skeptical manner, always striving for the mundane explanation for the incredible. Luckily for me, I've not found all the mundane explanations! That failure keeps my interest piqued. I'm extremely lucky to be a member of STORM, the sort of people you would want to hang out with even if there are no ghosts. If we do find a spirit or two, well, that's just icing on the cake of friendship. The paranormal has always intrigued me. I have been reading books on it as long as I can remember. Everything from Ghosts to UFO's. My birthday is on Halloween and because of that I always thought I had some special connection with the dead. Of course we know this isn't true, at least not because of my birthday. Since I was a little girl I have had strange things going on around me. I grew up in a house that I now believe was haunted. My curiosity and want of knowledge has taken me into the direction of Paranormal Investigating. From that I have helped form S.T.O.R.M. With this group I hope to expand my knowledge and to teach others to explore the unknown. Maybe someday we will find the answers we are looking for. If not us , maybe you. I can only hope that there is life after death. Some higher place that we can go. If I never find the answer while I am living, then I hope it is a good surprise when I am gone. I have been interested in the paranormal for quite awhile now. I became interested in my teens, because of some unexplainable things that had happened to me. I'm interested in learning all about the paranormal/or unexplained. I am hoping that with this group I will be able to expand my knowledge and find answers to the unexplained. I was excited when I was asked to join the group in December of 2006. I feel this group is serious and dedicated to learning more and finding answers to the paranormal/or unexplained. I am glad that I met such a great group of people that share the same interest in this matter that I have. with the paramormal when I was 16.
the world is yet to learn and experience. 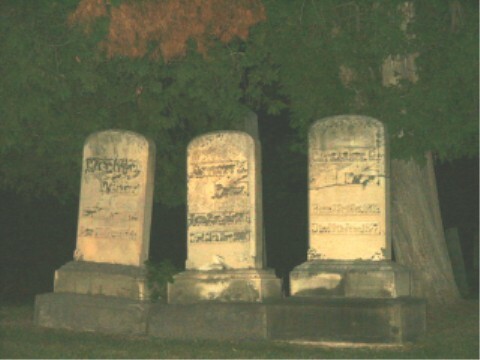 I started ghost hunting after my daughters picked me up to go to a cemetery. Why you ask? They had an evp of a man that could not be denied. I went with them to help validate what they heard. The man said the name of the little boy buried at the site they were near. You could not see his name until you moved the grave blanket a little and there it was. Exactly what the man said. I started going on more investigations with them . I eventually convinced my husband Chuck to join us and now he comes when ever he can. I have a picture of my mother in my kitchen door during my husbands birthday party. She died over 20 years ago. These two experiences are just the beginning. I hope to continue paranormal investigating for a long time. Hopefully one day I will find the proof we are all looking for. I grew up reading books and watching movies about ghosts and magic. I was never scared, instead I was intrigued and always wondered what is beyond our reach. I remember driving by cemeterys when I was young and wondering what was going on that I could not see with my eyes. I have always felt my family was sensitive to these things. I want to learn as much as I can and hope to continue ghost hunting with my family and friends for a long time.